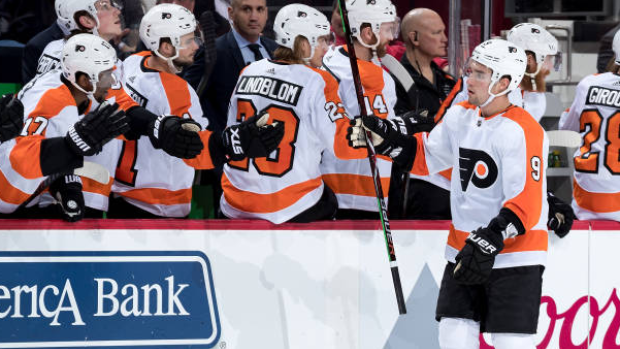 Philadelphia has won 12 of its last 14 games, moving into contention for a wild card in the Eastern Conference playoffs or perhaps for one of the three guaranteed post-season spots available in the Metropolitan Division. "He goes, 'I hope you're going to be a man,'" Mantha recalled. "I said, 'Will that earn your respect?' He said, 'Yeah.'" "Carter Hart had an outstanding game, but I felt our team also played outstanding in almost every area," Red Wings coach Jeff Blashill said. "We just need to score more goals, especially when we are playing a very good defence like that one. Hart had something to do with it, but we have a lot of young players who have learned how to create scoring opportunities but aren't as good at finishing them." The Red Wings have lost five of seven, moving closer to being eliminated from post-season race for a third straight year.